Skip Talbot, Jennifer Brindley Ubl, and I ventured out to the plains early Sunday morning to setup for an enhanced risk of tornadic supercells along an east to west oriented warm front in southeast Nebraska. A moderate risk was already in place due to the outstanding forecast hodographs. 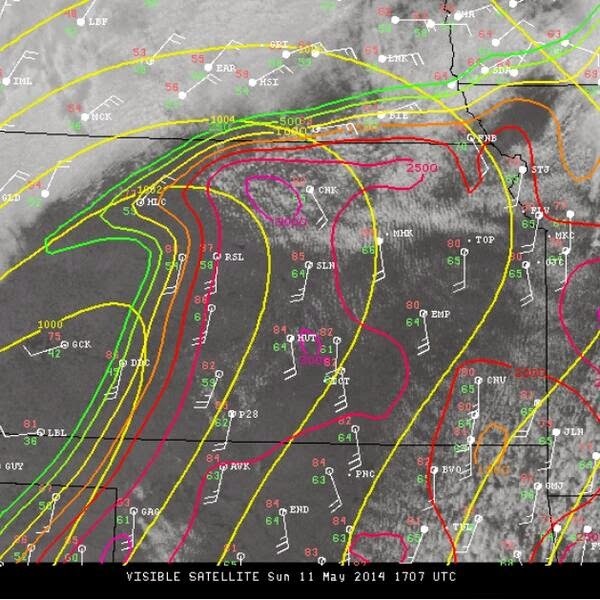 One potential pitfall of this setup was the lack of steep low-level lapse rates, as exhibited by the morning RAOBS. Nevertheless, we latched on to a rapidly developing supercell north of Hebron as it quickly produced a large (but brief!) multi-vortex tornado. 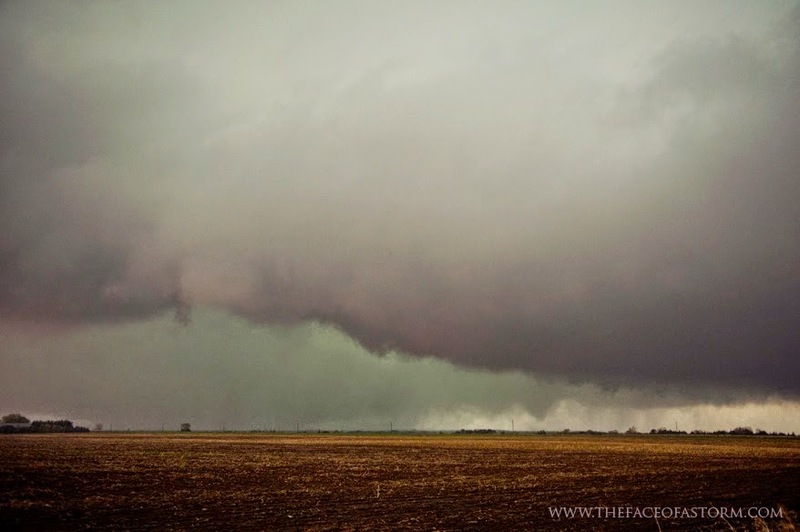 We could only see the tornado because of our position in the notch. Despite the difficult storm motion and HP nature of the storm, I never felt at risk of being overtaken because of our very cautious nature. We quickly got in and out of that area only stopping for a few moments to peek into the bear's cage. It was a tough chase, indeed, with poor visibility, crappy road conditions, and less-than-ideal cell data service. The storm was north of the warm front for most of its lifecycle, constantly breathing on air that was chilled from the morning convective outflow. It did make several attempts to surge toward the boundary, but could never quite latch on and make a right turn. 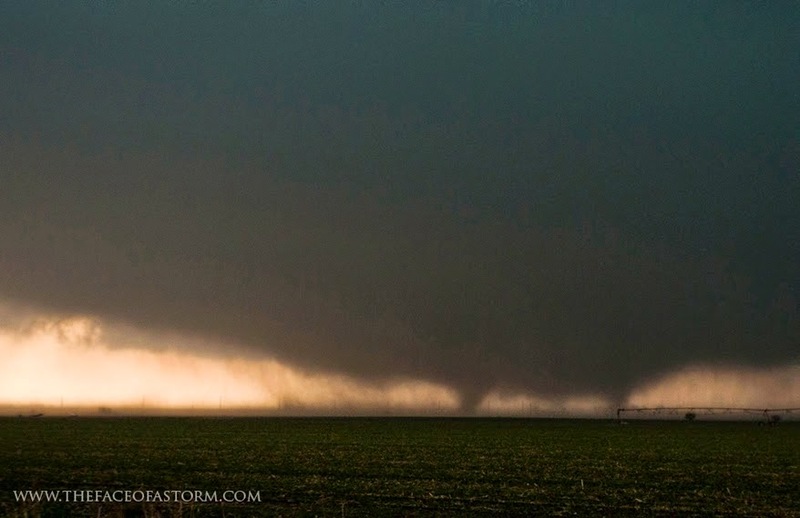 I have a feeling we would have had a violent, long-track tornado on our hands if that storm could have made a good connection to the WF. Check out more pictures over on Jen's BLOG. Good to be back in chase mode.